Narcotics suppression and Satun provincial police seized 95 kilogrammes of crystal methamphetamine or “Ice” after a raid at a motel in Khuan Kalong district on Tuesday (Feb 6). The raid followed recent seizure of a huge cache of Ice at Pedang Besar, a southern town bordering Malaysia in Sadao district of Songkhla. 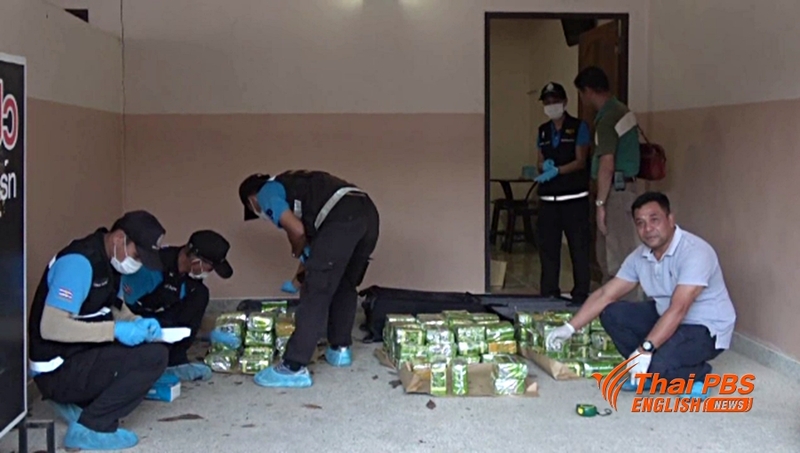 Satun police commander Pol Maj Gen Supawat Tapkliew said the police were on alert after the investigation of drug seizure at Pedang Besar revealed drug trafficking gang transported the drugs from the North to the border town via Satun. 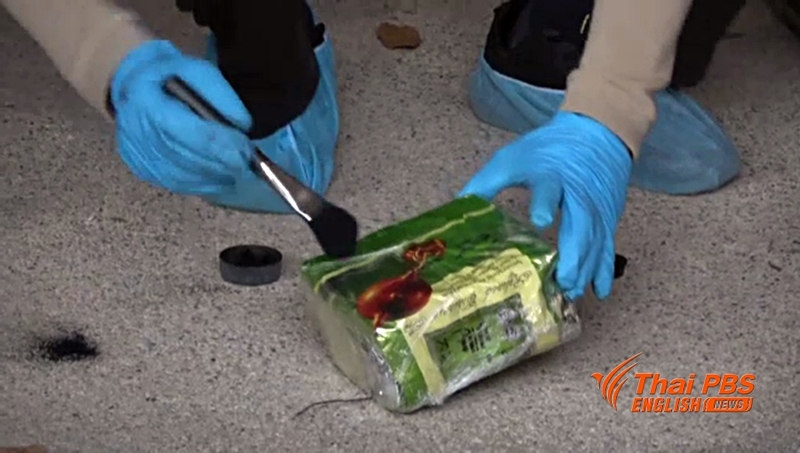 Authorities believed the illicit drugs were destined for a neighbouring country. No suspects were arrested in Khuan Kalong motel as they managed to escape before the raid, but they left behind three travel bags loaded with Ice at their rented rooms. The Ice drugs were neatly packed in plastic packages similar to packing tobacco leaves, the police said. The drugs could fetch up to 95 million baht on street prices. The police said they already got some clues about the drug smuggling network and were confidence that the suspects would be arrested soon.